Inspired by a Flag for the #31DC2017Weekly - Polish Etc. I am officially caught up with the #31DC2017Weekly now! Tomorrow's post will be right on track. Last year, for the inspired by a flag prompt, I did a flag for Iceland right before I went on vacation there. I am going to do the same thing this year. Next week, I am heading to Europe for a vacation. I am starting off in Copenhagen for a conference then then meeting my German polish sister, Lotte, in Germany! Yay!!! I can't wait to meet my little international polish pen pal that has become a true friend. :) So I am inspired by the German flag today. My nail are not a direct representation of the actual German flag but I was inspired by the colors of the flag: black, red and yellow. 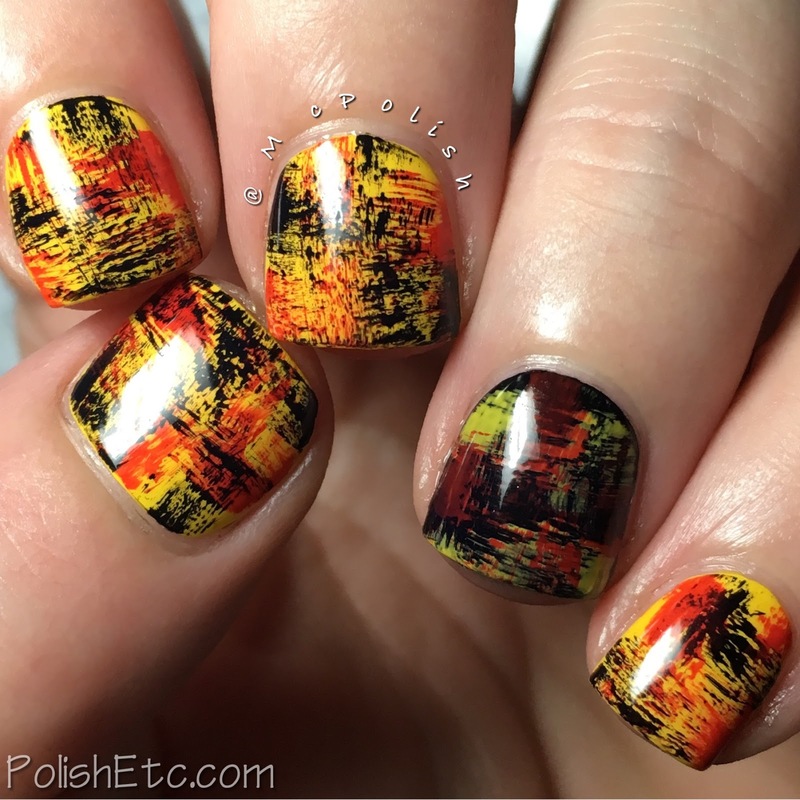 For this mani, I used three shades of creme polishes to create this distressed, grungy look. The black is Digital Nails " I see France". The yellow is Sinful Shine "Bananappeal". And the red is Zoya "Tamsen". 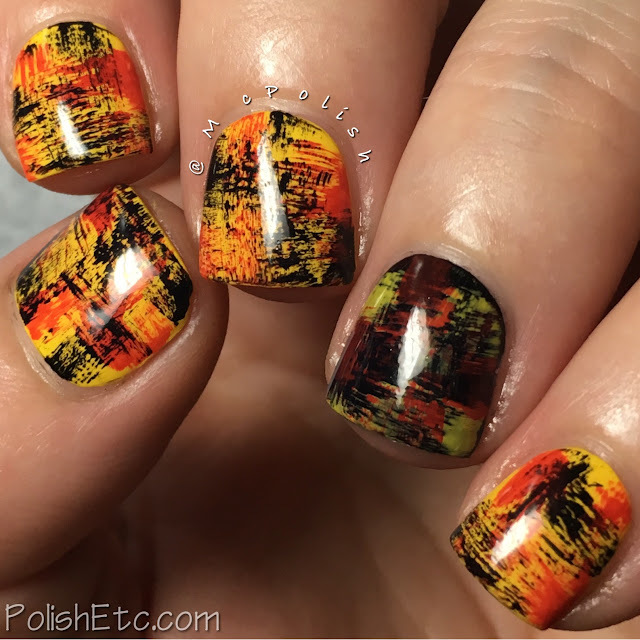 Once my base color was dry, I wiped off as much of the polish off of the brush as possible and then dry brushed little swipes along the nail. It is all topped off with a glossy top coat. I always like how these dry brush, distressed manicures turn out. You can use any color combo and you don't need any tools. Just the brush that comes in the bottle. I hope you have been checking out Lotte's looks for the challenge this year. She has done then along with me the entire time (and she was always on time!). I can't wait to hang out with this chick!! Be sure to check out all of the other people participating in the challenge by going to the tag #31DC2017Weekly tag on Instagram, Facebook and Twitter.